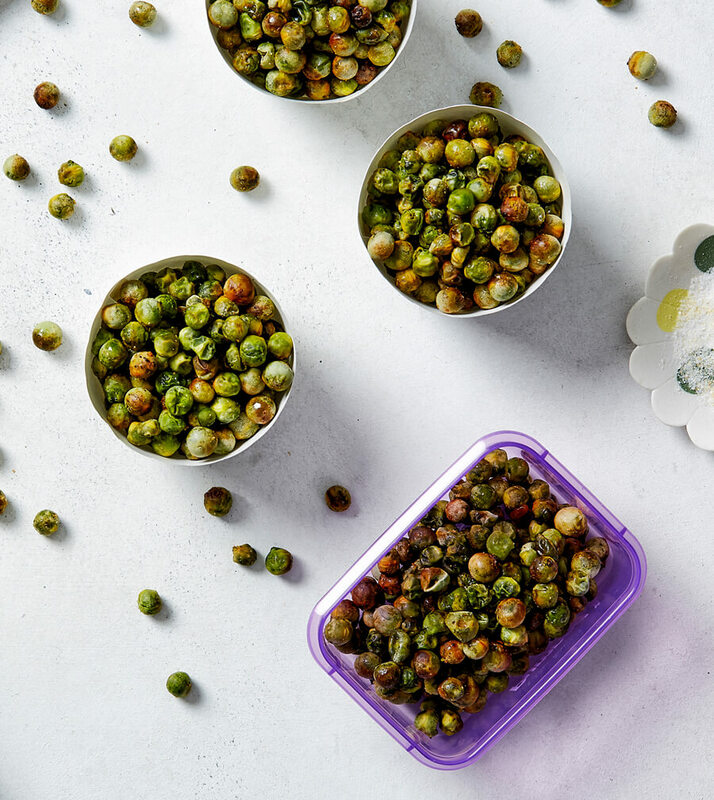 A healthy, delicious snack at home or on the go. Preheat oven to 180 degrees. Line a baking tray with baking paper or foil. Allow the peas to thaw, then dab them with a paper towel to get as much moisture off them as possible. Place all ingredients in a bowl and stir to coat evenly. Spread peas on baking tray and bake for 30 minutes. Take them out of the oven and give them a shake to ensure they are cooking evenly. You can try them at this point to see if they are crunchy enough for you. If they need more time, place back in the oven for 15 minutes at a time until they are crunchy. Allow to cool and then serve or store in an airtight container and keep them on hand as a snack.